You are here: Home / Health / Fitness / Thermogenic Supplements: Are They Safe for Weight Loss? Thermogenic supplements are formulated to boost energy and metabolism. But do they really help people burn fat and lose weight? And are the ingredients in them safe? Are you a coffee drinker? If so, then you’re already taking a thermogenic supplement. Coffee, green tea, and anything else that has caffeine has a thermogenic effect. A thermogenic effect means that metabolism increases. And when metabolism increases, there’s a greater fat-burning potential. The best thermogenic supplements also increase blood flow and boost your energy. Clearly, not all thermogenic ingredients work miracles. If they did, all the overweight people who drink coffee wouldn’t be, well, overweight. However, there are some thermogenic supplements that may be more effective than a cup of coffee. Thermogenic supplements increase your core (internal) body heat. As a result, your metabolism increases. Thus, you burn more calories. Now, many people assume that just because you burn more calories you’re going to magically get a chiseled six pack that would make a Greek statue blush. However, these supplements will only melt your stored body fat when you also engage in regular activity/exercise and eat a sensible diet. In other words, if you’re eating a couple fast food meals a day, you’re not going to look like a bodybuilder just because you take a thermogenic pill. If you took a thermogenic supplement in the early 2000s, it might have killed you. A widespread stimulatory ingredient in thermogenic supplements was Mua Huang. Better known as ephedra, this Chinese herb was banned in 2004. The FDA banned the commercial sale because there were over 16,000 reports of negative side effects from products containing ephedra. The negative side effects included death. One high profile case involved a 23-year old Major League Baseball pitcher, Steve Bechler. Bechler was 23 years old when he died as a result from taking a thermogenic supplement containing ephedra. If you have anxiety, an irregular heartbeat or insomnia, do not take a thermogenic supplement. If you really want to lose weight and you have one of these conditions, instead, eat a low-sugar diet and get some moderate exercise 6 days a week. Dr. Weil lists cortisol blockers as one fat-burning supplement to avoid like plague. Cortisol is a stress hormone. Cortisol raises your blood pressure so you can make a quick-reacting decision such as swerving your vehicle to avoid a collision. However, when cortisol floods your bloodstream because of chronic stress (say, anxiety about how you’re going to pay the bills), cortisol can interfere with digestion. Consequently, you’re more likely to store more body fat. Besides the concerns about side effects, Dr. Weil says there’s no proof that cortisol blockers work anyway. Yet Dr. Weil is correct to advise caution against taking thermogenics. Especially those that contain lots of caffeine. Ingesting large amounts of caffeine stresses the adrenal glands. Therefore, if you’re going to take a thermogenic supplement, make sure you pay attention to how much caffeine (in milligrams) a supplement might contain. And if you notice you can’t fall asleep at night, discontinue using it. Despite Dr. Weil’s concern about thermogenic supplements, there are in fact several safe alternatives that increase metabolism. Many thermogenics are not actually supplements, but rather foods, herbs and spices. One of the most famous spices that increases your core body temperature is ginger. Ginger also aids in digestion and helps normalize cholesterol in the blood. These are just a few ways ginger can help ignite your inner fire. Garlic, too, since time immemorial, has been used for a variety of therapeutic purposes. Research proves that garlic helps make you more sensitive to insulin. This is a good thing. The less insulin you need to regulate your blood sugar, the better for your health. Likewise, cumin (aka: curcumin) heats up your core. It also is great for nutrient absorption. Other herbs and spices that are natural thermogenics include: cayenne, nettles, cardamom, cloves, black pepper, dandelion, cinnamon and capsaicin. Capsaicin is the spicy compound in peppers. It was one of the first thermogenic supplement ingredients to hit the consumer market. It induces sweating. Now that you know which herbs and spices to both sprinkle liberally on your meals and to supplement with, it’s time to review some of the best natural thermogenic supplements. Hopefully, you engage in regular exercise. You can take a few of these thermogenics about an hour before exercising to enhance the fat-burning effect. However, if you’re just going for a mellow walk, there might not be that much of a benefit. You may have to engage in high intensity exercise to notice a fat-burning effect. This is every bodybuilder’s favorite natural thermogenic. It’s an all-natural amino acid derivative. It brings fat into the mitochondria of cells. It’s in the mitochondria that excess fat is burned as energy. The conventional advice by supplement “gurus” is to take 2-3 grams a couple times a day. For natural sources, red meat contains the most L-carnitine. However, Dr. Oz suggests the L-carnitine in red meat converts into a harmful substance, TMA. To be safe, make sure you eat only grass-fed meat. And keep your intake moderate. Extract of green tea contains an antioxidant, EGCG. ECGC, research shows leads to positive effects on metabolism. Yohimbe bark is from the Yohimbe tree in Africa. It’s best known as a male sexual performance enhancer. People with low-functioning thyroid glands have sluggish metabolism. Sea vegetables such as seaweed and kelp are stimulant-free, natural and powerful thyroid modulators. Omega 3-rich foods such as oily cold water fish (salmon, mackerel, sardines) increase insulin sensitivity. They also release enzymes to help with fat burning. Moreover, they can help normalize blood sugar. You may have heard of MCT oil from Bulletproof coffee. MCT oil is a dietary fat that is a great source of energy for your body and doesn’t get stored as body fat. Who would have thunk it? Raspberries to burn fat. It turns out the chemicals in them prevents and improves obesity and fatty liver. Say what? Jerry Garcia in Cambodia? Not quite. 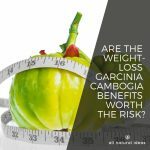 Garcinia Cambogia is a small fruit that looks like a pumpkin. You won’t find it in the U.S. It’s only in Southeast Asia. The bioactive component in it is hydroxycitric acid (HCA). HCA comes from the rind of this fruit. This study suggests Garcinia fruit prevents obesity. It also acts as an appetite suppressant and prevents body fat accumulation. Conjugated linoleic acid or CLA is actually a trans fat. Trans Fats are the worst kind of fat you can consume. But like most things in life, there’s an exception to every rule. CLA is a healthy trans fat. Especially if you get it from pasture-raised, lamb, bison, grass-fed beef, cheese, and yogurt. CLA might help burn peripheral fat (that’s extra flab around the arms and legs). Bone broth contains amino acids that are hard to get enough of in the diet from other sources. And these amino acids, such as glycine, are proven to increase key metabolic markers. An adaptogenic herb, ashwagandha can help your body produce lower amounts of stress hormones. In particular, it can help lower cortisol levels. Created by pressing the rind of grapefruit, essential grapefruit oil is an effective natural detoxification agent. So much so that it should never be taken within an hour of any medication. There are several other thermogenic natural supplements, foods and herbs and spices out there. But this list will hopefully be a good starting point for you. Good luck melting those pounds away … without stimulants! Fat isn’t the only macronutrient that will help you lose weight. You can also increase your metabolism (perhaps) by taking a thermogenic protein. What’s a thermogenic protein? Just think protein powder with added thermogenic ingredients such as the ones listed above. If you want to increase your chances of melting bodyfat, take a thermogenic supplement before you exercise. 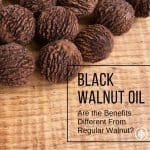 There are several newcomers on the market that blend the above ingredients (along with others) with nootropics. 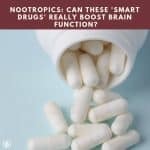 Nootropics are substances that increase brain function. A final word about thermogenic supplements. Actually, it’s more of a reminder. Even if you come across what’s touted to be the best fat burner on the market, make sure you don’t have any pre-existing conditions that would jeopardize your health by taking it. Judd Handler is a natural health writer and a graduate of the Functional Diagnostic Nutrition program and a certified Metabolic Typing Advisor. Thanks for sharing this in detail. Can people who don’t work out also opt for a thermogenic protein? They can, but it’s more effective for those exercising.